The lights in this picture are mainly oil lamps. I love oil lamps and pressure lamps, so when we go car camping I pack a box of lanterns. They give off such a wonderful light and enhances the camping experience. 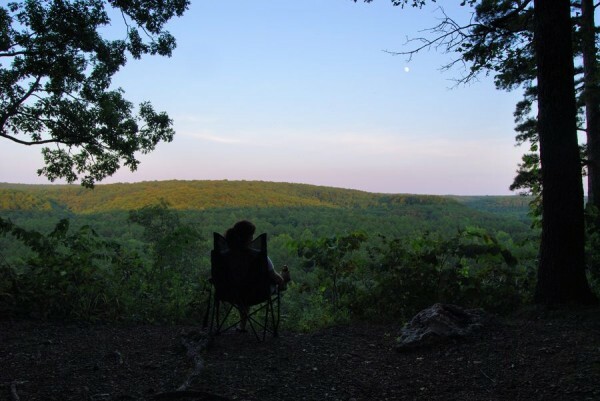 Read more about Red Bluff Campground and the Pines Overlook.